A loan of $800 helped a member to buy organic and chemical fertilizers. The earth has been blessed by hands that like to work and take care of it. The work women have done for years and for their entire lives is a worthy occupation. Without the labor of female farmers dedicated to cultivating it, the earth would not produce the fruits which sustain every generation. This is Veronica's work, which she does with great dreams for the future. She is a 24-year-old entrepreneur who is determined to succeed in life. In the photo, she is the first on the left. Veronica's business activity, which she does every day beneath an exhausting sun, is growing tomatoes. She has had this activity for 4 years, and it has brought in a financial income to improve her family's living conditions. She hopes to obtain a tomato harvest this year to sell at the local market. She is a role model in her community, which is why a group of women joined her to grow tomatoes together and to improve their families' living conditions as well. Veronica will use this loan to buy organic and chemical fertilizers to obtain a very good harvest. She will then have a higher financial income to further improve her family's life and that of her community. One of her greatest dreams is to see her siblings become professionals in various fields of work. She would also like to buy more land to grow more tomatoes and make more sales. Translated from Spanish by Kiva volunteer Amy Volz. View original language description. La actividad que realiza Veronica todos los días bajo un sol agotador es el cultivo de tomate, ella ha venido realizando dicha actividad durante 4 años, es la actividad que le ha generado ingresos económicos para mejorar las condiciones de vida de su familia. La cosecha que espera sacar este año son cosechas de tomates para luego venderlo en el mercado de su comunidad. Ella es un ejemplo en su comunidad y es por ello que un grupo de mujeres de unieron a Veronica para emprender juntas el cultivo de tomates para que ellas también mejoren las condiciones de vida de sus familias. El uso del préstamo es par la compra de fertilizantes orgánicos y químicos, para poder obtener una muy buena cosecha, para tener un mejor ingreso económico para mejorar aún más las condiciones de vida de su familia y comunidad. Uno de las más grandes aspiraciones de ella es ver que sus hermanos se conviertan en profesionales en los diferentes campos laborales y comprar más terrenos para poder cultivar más tomatas par realizar una mejor venta con las que ahora realiza. 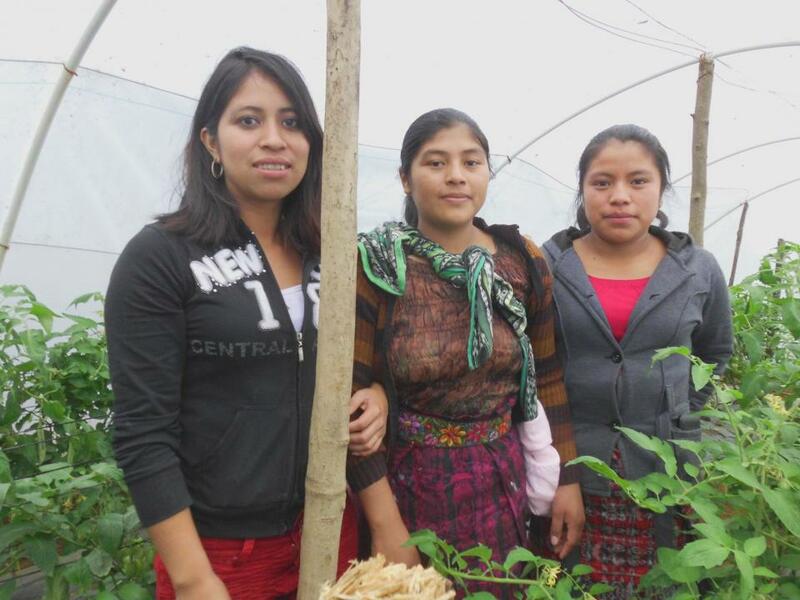 ADICLA's youth entrepreneurship loans allow young people without prior credit histories to borrow in groups, an opportunity that is not offered by many other microfinance institutions in Guatemala. The loans will be used to help them start small businesses.